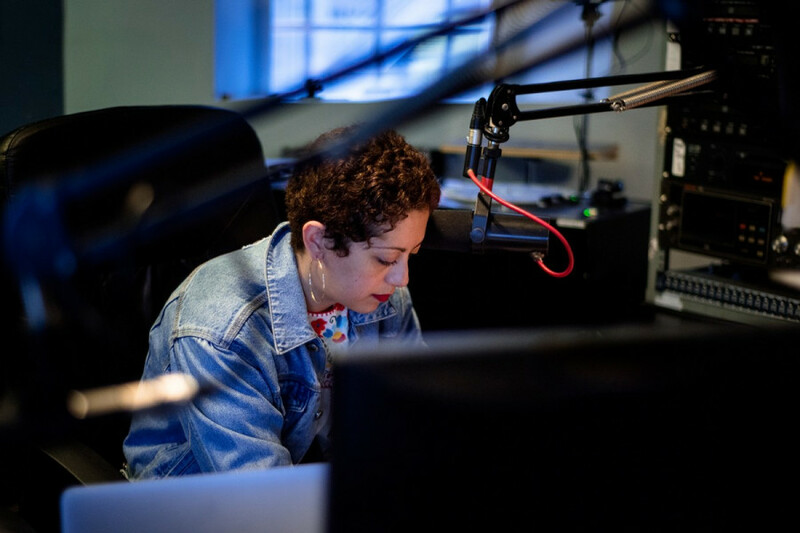 Artist, radio host, mother, activist, student, and host of the radio show The Groundbreakers—Sundus Abdul Hadi is all of that and more. Adbul Hadi is soft-spoken and gentle, but also firmly opinionated. She loves being an artist, and says the best part of it is not having to compromise herself. She radiates a quiet, intelligent confidence. Her work promotes the importance of self-love, and how caring for yourself is the first step towards caring for your community, which she considers equally important. She is an Iraqi-Canadian interdisciplinary artist who mixes media such as painting, sound, and drawing with ink. Using photographs taken by others, she digitally remasters; cutting and pasting, superimposing and highlighting until the final product emerges: a multifaceted, textured—sometimes tender, occasionally furious—commentary on current events in the Middle East. The 33-year-old Concordia masters student’s work has been displayed in galleries globally. She provides valuable representation to girls of Middle Eastern descent who don’t often see themselves reflected in the common conception of an artist. She defended her thesis in mid-September, 15 years after she began studying at Concordia, accumulating a bachelor of fine arts in studio arts and art history, plus a graduate diploma in communication studies. At the age of 11, Abdul Hadi moved from Abu Dhabi Dubai, her home until then, to Montréal with her mother, father, and older sister. She says she comes from “a visually-oriented family,” where art was always a part of her life. Her mother is an artist, her father an architect, and her sister Tamara is a photographer who has been based in Beirut for the past 10 years. The sisters have previously collaborated on a project entitled The Flight Series. In the series, Abdul Hadi removed the background of photos her sister had taken of young boys jumping off cliffs and replaced them with aerial perspectives of Cairo, Beirut, Baghdad, Bassa, and Syria. Rather than stare at a blank, blindingly white canvas, which she says incites a sense of anxiety, Abdul Hadi prefers to work with existing images which activate her imagination. Abdul Hadi also becomes an active contributor to the arts scene with her weekly radio show, The Groundbreakers, which is broadcasted on CKUT on Wednesdays from 2 p.m. to 3 p.m.
Abdul Hadi thinks positive change needs to be affected in the world—a desire that became more pronounced after the birth of her son Shams and daughter Yusra. 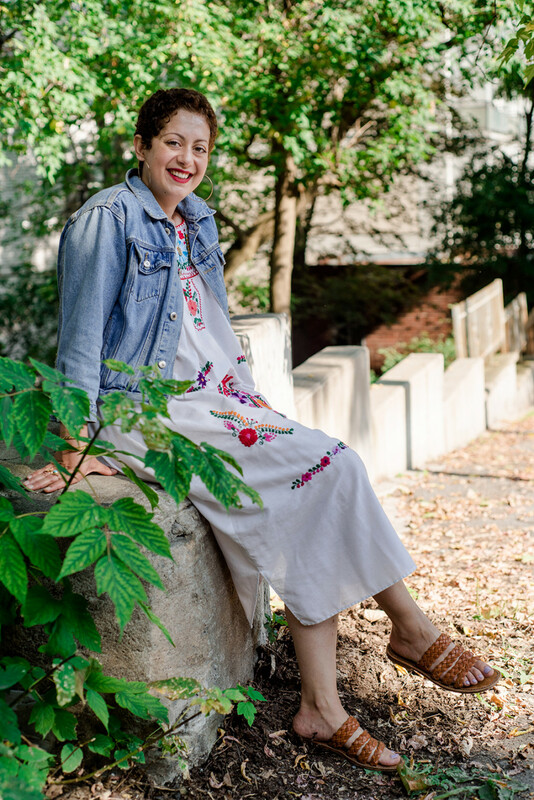 Speaking of her desire to make the world a better place for future generations, Abdul Hadi reflected on her own experiences as a young Middle Eastern woman living in a post 9/11 world in Montreal. “It was excused. That kind of speech was excused because we were still trying to understand what happened. It was hard. Some teachers [at Dawson College] were telling me, ‘You should move away from the subject of Iraq, of war,’” she continued. Abdul Hadi ended up taking classes in Concordia’s communications department, a positive experience because of the department’s critical approach to how these representations were affecting people. Abdul Hadi wrote a semi-autobiographical book on self-care, about a girl named Shams who’s made out of glass. One day the little girl breaks into a million pieces, and has to put herself back together again. She says it was a reflection of the trauma she’s experienced personally, and that’s present in the world around her. The book eventually became her inspiration for the subject of her masters of arts degree. Abdul Hadi has always approached school with the belief that the academic and real world don’t have to be separate. Abdul Hadi believes that witnessing acts of violence such as police brutality and the lack of rights for Indigenous people have had a negative effect on her psyche. She believes the collective other, “meaning people of colour, people in general who are difficult to define, [have] hyphenated identities,” need to feel more empowered as a community. Claiming space for Take Care of Yourself became an avenue for that. Abdul Hadi views it as a continuation of work she’d already been doing in her community, allowing her the amazing experience of having her academic work intersect with her artwork and existing life path. She wants to highlight transformation and intersectionality, both ever-changing, as well as the idea of intersectionality as an experience rather than a dry academic term.